Congratulations to Team Bahamas for winning the Team of the Year. Chef Peter Edey hosted the 3rd Annual Caribbean Junior Duelling Challenge. The challenge was held at the Culinary Arena at the Dining Club Located in Newton Industrial Estate, Christ Church, Barbados. T’Nique Brown & Rico Neely proudly represented the Bahamas and were simply fantastic. The team was coached by Chef Carla Barr & Chef Keisha Bonimy. The Challenge was part of the Junior Caribbean Culinary Conference http://duellingchallenge.net/Caribbean/ Chefs Helping Chefs and Chef Jeff participated in this annual event. 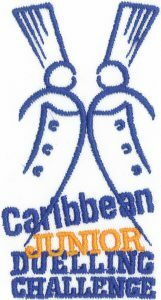 The first day started off feature speakers from Barbados then presentations from Chef Anton Doos, CEC. Then the competitors, delegates and guests were able to tour “The Concord Experience” museum. That was an unbelievable tour. Day two continued lectures and demonstrations. Chef Doos did another presentation. This time it was molecular gastronomy or as Chef Doos would say, his worms. Then came Mixologist Jamaal Bowen who did cocktail creation with a local flair. After lunch Chef Jeffrey Rotz, CEC, CCE, AAC followed with an overview of the importance of Food Safety. The final session for the day was by Chef Manfred Schmidtke, CEPC on “The Magic of Laminated Doughs.” Day 3 (Round 1) was the signature or National Dish Competition. Day 4 (Round 2) was the Mystery Basket. Day 5 was the finals. The top 3 teams from rounds 1 & 2 went head to head for the 2016 Caribbean Junior Duelling Challenge Team of the Year. Team Bahamas took home the trophy.